This informative and often amusing ‘introduction to bird keeping’ appeals not only to the novice or want-to-be bird keeper, but also to the seasoned aviculturist looking for a refresher on the basics. 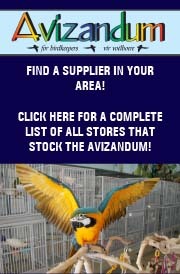 Based on the authors’ combined 30 years of bird keeping experience, this guide walks you through the process of selecting a bird right for you, caring for that bird, and understanding its behaviour. 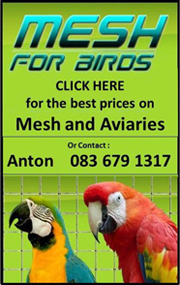 This 96 page full colour book also guides you through the growing pains of increasing your bird family, including what to do when your birds have gone forth and multiplied. 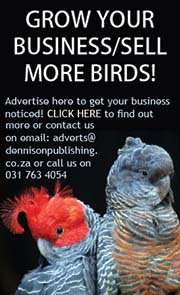 All in all, the authors help you to create a happy and healthy environment so bird keeping will always be pleasurable. 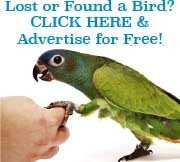 Why in Heavens Would Anyone Want a Bird for a Pet? 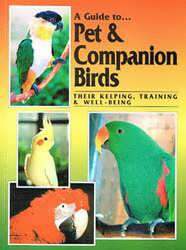 Be the first to review “A Guide to Pet and Companion Birds” Click here to cancel reply.